The husband and wife team, Andy Erickson and Annie Favia, finished building their winery this year and being true believers of the Coombsville AVA in Napa Valley, they have firmly planted their roots in this newer AVA. They have been longtime supporters of this cooler sub-region and for good reason – their wines produced there are among the best in all of Napa Valley. As a testament to their two favorite wine regions, they have produced side by side bottlings coming from Oakville and Coombsville. I would highly suggest trying a few bottles coming from both AVAs if you can because it shows how different yet how great they both are. 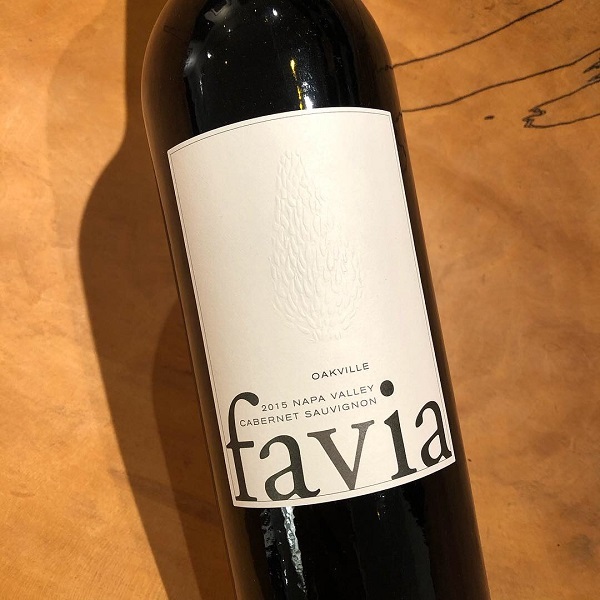 Favia’s wines are in the quality spectrum of wines far greater in price and more terroir-driven and nuanced. This 2015 Cabernet Sauvignon was produced from select blocks at Oakville Ranch, high above the valley floor in the eastern hills of Oakville. The red, iron rich soils produce wines of great stature and profound complexity, wines that have a signature and personality all their own. It is always a deep, structured, and complex wine – regal and statuesque. The 2015 is no exception, with a saturated black-purple color, impressive mass and generosity, round, sappy texture, and notes of salted dark chocolate, mocha, smoked meat and ripe black fruits.